Although strawberry plants are considered perennial, they are most productive in their first 1–5 years. With a little yearly maintenance, you can keep them bearing well longer. The best way to keep a strawberry bed going is to renovate it by thinning the existing plants and allowing runners to root and become new plants. Do You Have to Renovate Strawberry Beds? Of course, you don't absolutely have to renovate strawberry beds. Many gardeners don't find it worth the effort and either grow strawberries as annuals or simply add a few new plants each year while taking out the underperformers. You could even grow your strawberries in containers. You would probably want to start with new plants each year, but they'd be easier to plant and you could keep them within arms reach. Strawberry plants produce best when they are young. However, they conveniently send out runners that will become new plants. So thinning out the older plants while allowing the new ones created from runners to fill in will keep your strawberry patch in continual production. And you only have to do it once a year. When Is the Best Time to Renovate the Strawberry Bed? Wait until after you harvest, to do any renovation. After the berries ripen and are picked, the plants are in a semi-dormant stage. This is the best time to move them. Weed the bed. You should keep the bed weeded all year, but it's even more important when you are getting ready to renovate. Your plants will have an easier time becoming established if they do not have to compete with weeds for water and nutrients. It's also easier to work in a weed free bed. Remove all the leaves, before new growth starts. You do not have to do this by hand. You can use a lawn mower for this. Set it high enough so the leaves are clipped, but the crowns are untouched. This step isn't crucial unless your plants have a lot of leaf disease. But it will help to regenerate the planting. 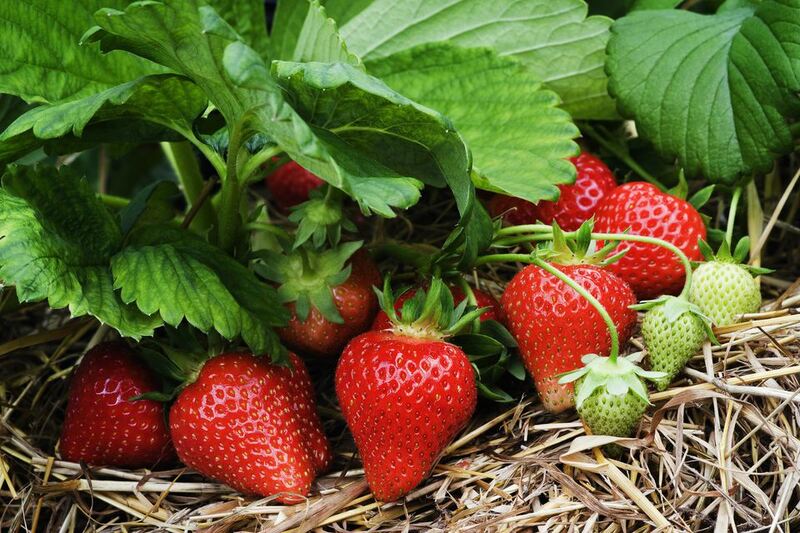 Cultivate or till between the rows of strawberry plants, removing any plants that have strayed too far out of the row, so that the remaining rows are thinned or reduced to about 12 inches wide. Thin the remaining plants so there is 4–6 inches between each plant. The remaining plants will send out runners that will develop into new, more productive plants. Side-dress each row with a complete fertilizer and a ½ to 1-inch layer of soil. Water thoroughly and make sure the bed gets at least 1 inch of water each week afterward. Be patient, the bed will recover and become lush in no time. An alternative approach is to lift and replant the rooted runners in the early fall. This will give them time to become established and they will be ready to produce strawberries next season.